Is there any space in your house that is screaming for a little update? What if you could choose one piece that is able to bring a whole new ambiance? What if I tell you lighting may be your prolem? Somehow many people have this antiquated idea that modern chandeliers are nothing but heavy objects with crystals that are designed to fit grand entry halls and spiral staircases. What if I tell you they’re pretty wrong? 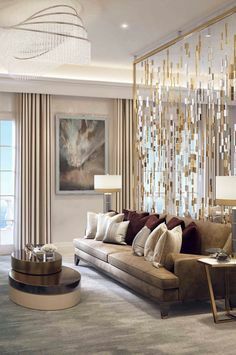 Chandelier lighting can fit in any style or home decor and at the same time provide a unique, extravagant touch. 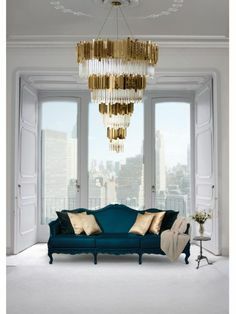 Chandeliers add a bit of drama, they can make any space feel cozier and provide a modern and luxurious feel. 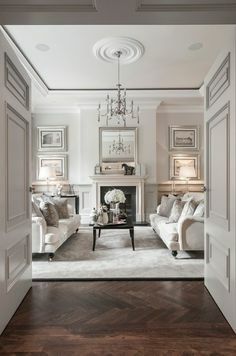 And they’re not necessarily for hotels and restaurants, chandeliers fit perfectly in any section of your house, kitchen, bedroom, bathroom, you name it. The chandelier industry has been growing each year and chandelier lighting has been one of the most selected options by interior designers. There are plenty of styles, materials and color pallets out there that make chandelier lighting, by far, one of the most reliable choices. Here are some of the styles of 2016 we recommend to check out when looking for chandeliers and lighting pendants. 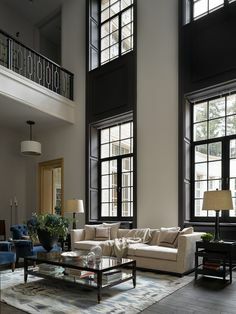 This one is the perfect combination of classic and modern elements. The result is a powerful circular shape made in gold plated brass and crystal glass. A chandelier for the most luxurious and sophisticated ambiances. Vintage is never out of fashion. Lighting pendants like this one will instantly turn your home into an interior design stage. It just looks so modern and provides a great sense of personality that you will no longer need to buy any other decorative piece. Cooper Mirror Glassed pendants have been a huge trend this year. The world’s top interior designers opt for this kind of items due to its beauty and bold colors. Contemporary Design makes perfect sense in any home decor. A great choice. 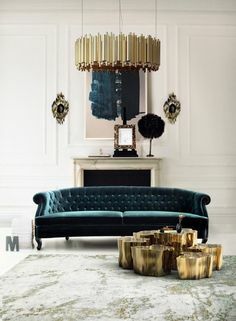 When purchasing new lighting, make sure to choose irregular, unique shapes like this one. The purpose of lighting pendants is to make your room stand out in the simpler and easiest way. With just one piece you will be able to renew the entire space. Eveything sparkles under this lighting piece. Linear Crystal Chandeliers make the perfect choice for dining rooms and living rooms. They are incredibly beautiful and provide high quality lighting. Functionality and beauty all in one, a reliable option. Hope you found this article interesting and useful. If you liked it please let us know down bellow, we’d love to hear your opinion!